Bullet trains have already set the bar higher for rail travel. Now Japan is testing the newest version, the ALFA-X Shinkansen, a train that can reach speeds of almost 225 miles per hour – the fastest in the world. Although its speed is the most noteworthy accomplishment, the braking systems will also make headlines. The Asahi-Shimbun Asia & Japan Watch reports that East Japan Railway Company, responsible for the development of the ALFA-X, has decided on two different auxiliary braking systems for the new train that have never been used on Japan's railroads. ALFA-X developers are employing "aerodynamic brakes," which work on the principle of air resistance, and "maglev-type decelerators," which use electromagnets. Japan is currently testing aerodynamic and maglev emergency braking systems on its newest bullet train. Since the developers' priority was ensuring that trains could stop urgently to avoid derailing at high speeds in an earthquake or other emergency, simply strengthening the capabilities of conventional main brakes, which act on train wheels, would not be enough to do the job. Conventional brakes remain an integral part of the train design, of course, but auxiliary braking systems are included as well, for emergencies. The ALFA-X is designed to stop in 13,000 feet or less – the distance required to respond to earthquakes. That figure of 13,000 feet refers to the space between the actual stop and when emergency brakes are applied at top speed. According to The Asahi-Shimbun, none of the 27 commercial train services operating on the Tohoku Shinkansen Line during the Great East Japan Earthquake of 2011 experienced any accidents. All successfully came to an emergency stop, with no injuries reported – ample evidence of how seriously Japan takes the threat of earthquakes. The ALFA-X will use a modified version of aerodynamic braking, with smaller, more compact flaps mounted on the train cabin roof, drawing on air resistance to slow down. What makes this different from previous versions of aerodynamic braking? The new flaps were redesigned to stand up from a flat position, so they will not interfere with the cabin space. Their smaller size also allows more flaps to be used, increasing the potential drag when brakes are applied. The maglev-type decelerators, also known as eddy current braking, are similar to a system already in place on Germany's Intercity-Express high speed rail network. This type of brake employs electromagnets mounted on the "bogie," the chassis on which the wheels are fastened. When actuated, the magnets create "eddy currents," in which the electromagnetic force acting on the rails helps decrease the train speed. Eddy currents are simply electric currents generated inside a conductor by a magnetic field that can't flow away, so they swirl around instead, dissipating excess energy as heat. Eddy currents are effective because they are not totally random; they flow in a certain way to try to stop whatever it is that causes them. And that stopping power can effectively be configured to stop an entire train. East Japan Railway Company gave media representatives an advance preview of the ALFA-X on February 8 at Hitachi Ltd.'s Kasado Works, one of the development centers for the new train. Next stop: the developers plan to take the experimental train for a test run along the Tohoku Shinkansen Line as early as May. At the February 8 event, reporters viewed one of the two lead cars the railroad plans to use – a long, sleek, aerodynamically-shaped vehicle with a tapering nose section that extends about 72 feet. The long nose is designed to suppress the generation of noise-inducing pressure waves when the train enters a tunnel. According to Japan Rail Pass, the new train has a number of additional groundbreaking features, including better energy efficiency, environmentally-friendly silicon carbide power converters, lateral dampers to decrease side-to-side motion, a "tremble protection control device" for minimizing vertical vibration and safety features to protect passengers in the event of an earthquake. While Japanese bullet trains are already designed to brake when there are nearby tremors, the ALFA-X will have dampers to increase stability and keep the train from toppling over. When the ALFA-X is finally ready to begin service, it will carry passengers in Hokkaido and the Tokoku region of Japan. Bullet-style high speed rail is already a reality in a number of countries, including China, Spain, Germany, Japan, France, Sweden, the United Kingdom, Italy, South Korea and Turkey. 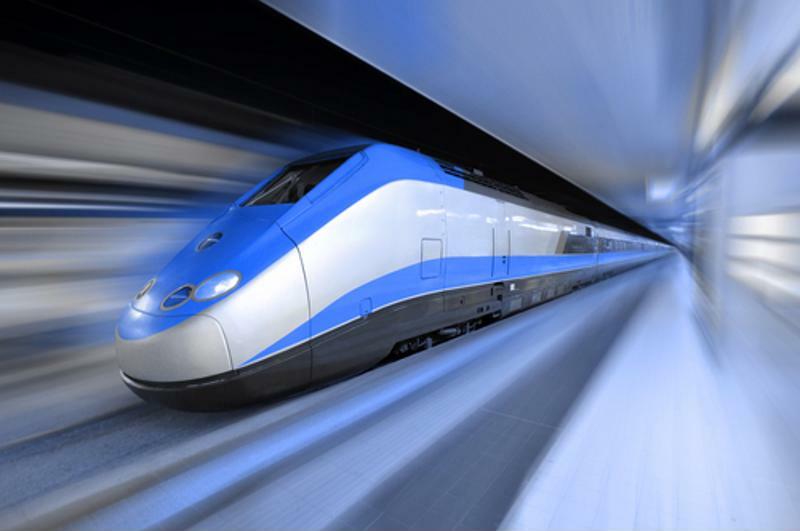 If you are an engineer working on braking systems, whatever the mode of transportation – rail, air or automobile – ask for a complimentary brake testing consultation from Greening.